Disruptive behaviour among physician is one of the major problems that many hospitals ate facing today. It is severely vital for these hospitals to address these problems earlier since the disruptive physician can negatively affect staff retention, patient safety, and the bottom line. However, too few providers take the necessary steps to address the issue. In some recent studies, more than 70% of doctors say they witness disruptive behaviour by physicians once or more per month at their organizations. And more than one in ten doctors said they saw such incidents happen every day. Since it has become so vital to report unsafe work environment and address the problem of disruptive physician behaviour. Experts say there are several strategies providers can employ to reduce disruptive behaviour. Every clinic and medical organization who are facing the problems of disruptive physicians must have a code of conduct that clearly places out what behaviour is expected of staff. So that managers could focus on clinicians’ behaviour, rather than on their personalities overall. 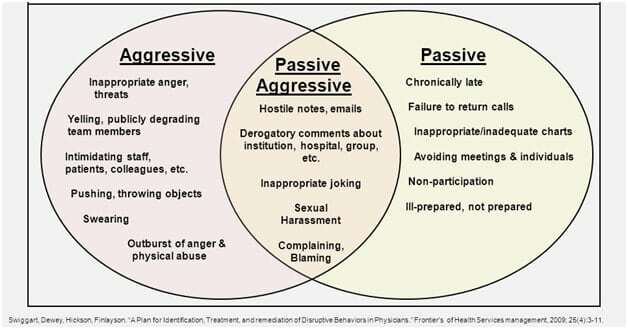 Healthcare providers and other medical executives should regularly first broach the topic of disruptive behaviour in meetings between one or two organization leaders and the problematic doctor. Disruptive physicians are unaware of the fact that their behaviour is causing the quality of healthcare and negatively affecting the relationships between staff and patient care. Bad behaviour of clinicians can often be the result of burnout among doctors. Therefore other executives should approach physicians in a collegial manner and offer them options, such as additional help or time off. That way, the doctor does not feel like he or she is being attacked or undermined. By using these strategies medical organizations and clinics can easily get over from the severe problem of disruptive behaviour among physicians. If you still have any doubt then click this link and get more tips for dealing with disruptive physicians.